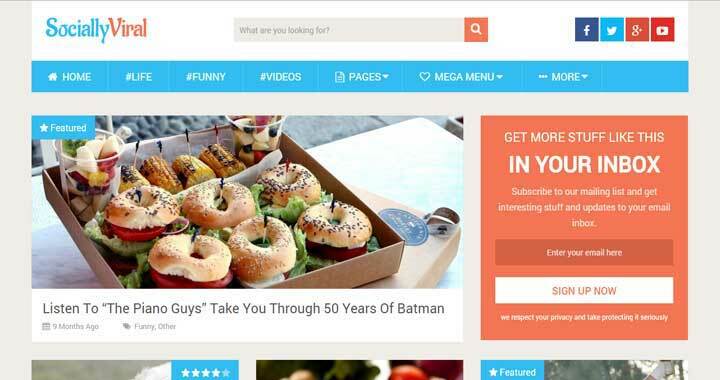 WordPress is the ideal platform to build your viral content website such as BuzzFeed.com or 9gag.com. This is because WordPress is not only a user-friendly and highly flexible CMS, but it is also easily scalable and completely secure. The best thing about WordPress is that it can be used by beginners as well as experienced users smoothly. The greatest expertise needed in WordPress is the appropriate selection of the basic building blocks of WordPress, which compromise of a compelling theme and powerful plugins. So, in this blog, we will help you to pick the best viral WordPress theme for your high-volume website from a collection of the top 20 viral themes. Take a look. Before selecting the right theme for your website, be careful to look at the features that would help you decrease the bounce rate, retain more users on your website for as long as possible. And provide easy social media options to share your website content instantly. These parameters would help you to find the right theme and assess it well before making the final decision. Now, that you know what you need to look for, let us take a look at the most enchanting viral themes for WordPress one by one. One of the most beautiful and elegantly designed social viral WordPress Themes, the Viral WordPress theme is a perfect choice for you if you are into social media marketing. The highly customizable theme fits perfectly across multiple niches. The theme is equipped with professional layouts, beautiful carousel, compelling galleries, innovative typography, and powerful customization options. This makes it the most preferred choice for an appealing social viral WordPress theme. Compatible with most third-party plugins, the multipurpose viral WordPress Theme can be tested on powerful demos based on Photography, Cat, Food, and Shop. SociallyViral is one of the best theme options for creating your own socially viral website because of the optimized loading speeds and great features. Specially designed for social sharing, the theme offers options that ensure more traffic from top social media websites and effective SEO. The theme comes with two user-friendly layouts that enhance user engagement by offering more to your users. 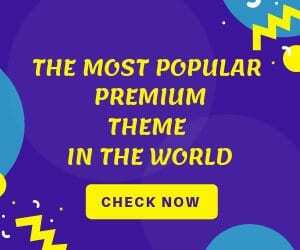 Some of the features that make this theme a must-have viral theme include full social integration, Adsense optimization, subscription box, light and easy interface, schema integration and a lot more. An all-purpose viral magazine WP theme, the Boombox theme is the ideal combination of high-quality design and incredible layouts. It is equipped with exclusive features that let you make the most of your powerful viral content. So, if you are a blogger looking for a website to populate news, get polls, and become a trend on the social media, go with the unique Boombox theme with unique download features, six innovative single post templates, custom galleries, and extreme customizability. Completely fluid responsive, the Boombox theme has advanced mobile controls and total AMP support for stories, memes, images, videos, audios, and quizzes. If you want to create a viral website instantly, Bimber, the instant viral magazine theme is the best option to go for. It is integrated with appealing sharing buttons that encourage users to take action and share your content with a single click. It also has an outstanding Dark mood and an elegant switcher that can be placed anywhere without affecting your page or site loading speed. Get the combined qualities of great web design and powerful features for your viral website with Bimber. Test the three brand new demos now that have been uploaded with features such as gallery, lightbox, video playlist, and social media widgets to create beautiful logos, and mockups in seconds. 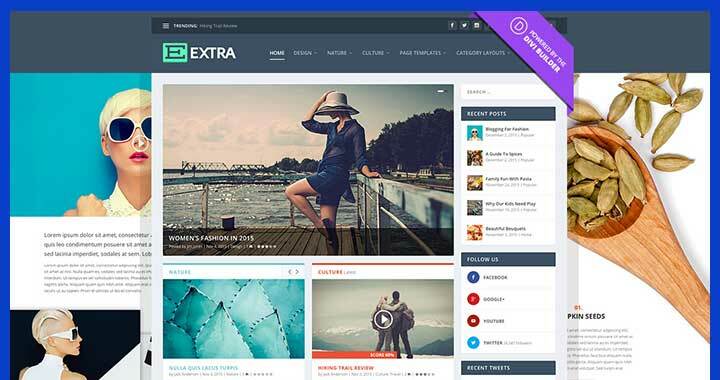 The Extra theme is a viral WordPress theme that gives you an extra edge over your competitors. Powered by the Divi builder, the magazine WordPress Theme is easy to customize and extends the functionality of the Drag and Drop builder with a set of innovative category and post-based modules to make your content viral. 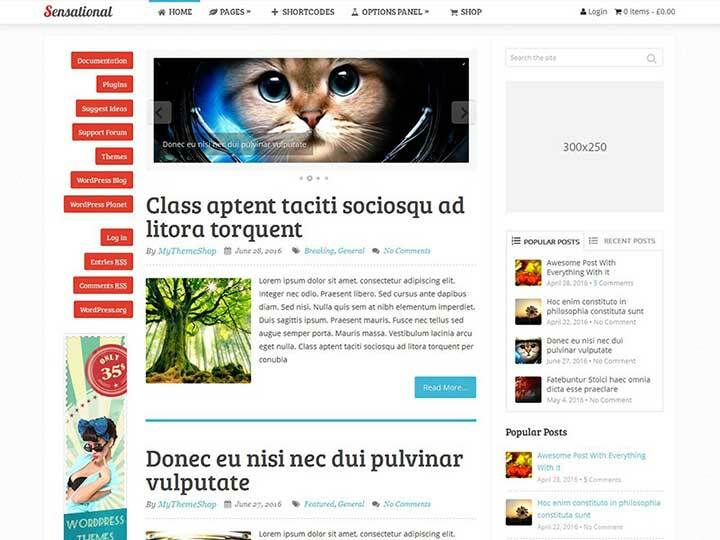 The fully responsive theme also offers both post and page builders and built-in ratings and reviews system. If you are looking for a sophisticated design for your viral website, go with the Extra theme that offers new category modules, advanced design settings, and gorgeous project portfolios. 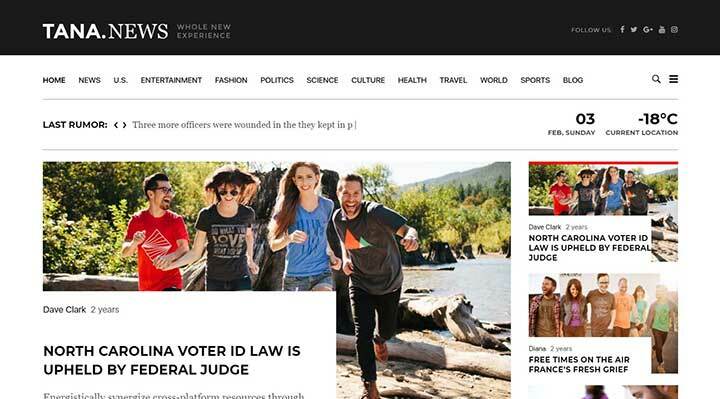 The Gutenberg compatible JNews Viral WordPress theme is an extremely optimized WordPress theme and offers high-speed SEO friendly performance for both bloggers and content marketers alike. It is known to be the “all-in-one” solution as it offers to help you to explore endless possibilities and craft the most viral website for your business by following a few easy steps. The theme is also equipped with more than 120 homepage choices ranging from news and blogs sites to editorial sites and all kinds of publishing sites. With JNews reach the 100/100 point on Google Page Speed and be the most engaging, interactive and easy to use website around the world. Click mag is a viral WordPress news magazine or blog theme that is easy to import and easier to use. Not only does the theme offer professional eye-catchy design, but is also mobile responsive and performs seamlessly across a range of screen sizes. Loaded with unlimited ad units, the theme is retina ready and has appealing graphics to attract users as well as retain them. What’s better is that with seven custom widgets, you can customize the visibility as and when you need. Supporting both audio and video posts with many social share options, the RTL Ready viral WordPress theme is an ideal choice for you if you need to develop a news magazine or a viral blog online. One of the first WordPress themes with open lists, the Bunchy viral WordPress theme is a simple, user-friendly theme that allows the users on your community to submit text, audio and video content and poll for the best. Open lists are great for social media sharing as this allows users to submit list items from social media sites like Instagram, YouTube, and Twitter directly. Not only this, but Bunchy also allows you to integrate social sharing buttons, ads and pagination through a front-end submission form. With four homepage layouts and easy customization options, Bunchy is an ideal choice for every non-coder who is looking to create a viral and trendy place for content sharing. Zox News is the one-stop solution for all bloggers and news agencies looking to set up their dominance across all devices connected to the internet in a professional manner. Fully responsive and highly customizable, the Zox News theme is google AMP ready and supports review features, post sliders, and a sticky slider bar. This together enable a hassle-free experience for your users. Not only this, but Zox also has eight unique article layouts, five featured post layouts all the latest features that make your website easy to use, read, engage and share on a daily basis. 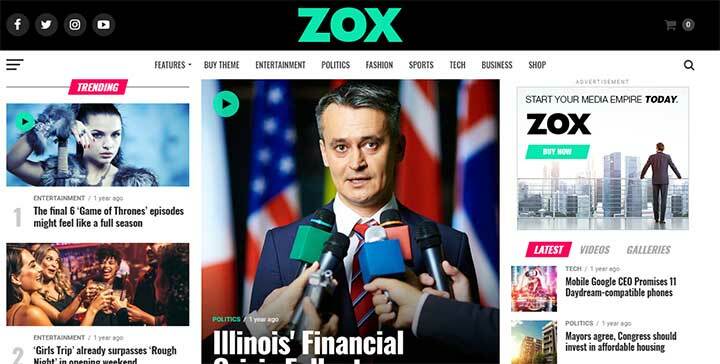 Lightweight, fast and cleanly coded, try the elaborate demos of the Zox News theme. And take advantage of the wide range of tools and features provided with this viral WordPress theme. The Sensational magazine WordPress theme brings out the uniqueness of your blog and gives it a sensational and stunning look. It has unique color options and different layout styles that transform your content and make it look perfect for showcasing. It has more than 35 unique features and four elaborate layouts that give you the flexibility to customize your site as per your need. Some of the features that make this theme a good choice for a WordPress viral theme are multiple color themes, elegant slider, unlimited background, advanced typography, integrated social media, menu custom widgets, custom dashboard, design related post and HD video documentation. ViralVideo is a uniquely designed Premium WordPress viral theme created to handle viral content and to link it to social media sites. It is an engaging and interactive theme that has more than 45 customizability options, responsive designs and eight custom widgets for enhanced user experience. The theme also offers unlimited colors, unique font icons and the ability to work from the front-end. With an improved user profile and membership management, and a child theme, if you are looking to base your viral website on user-generated content then, the ViralVideo theme is the best choice for you. Video is a powerful WordPress viral template that guarantees interaction and engagement for your users and helps you to go viral within a few weeks. It has been created keeping the video model in mind and includes unique features like a playlist, low bounce rate, the like/dislike and watch later feature and even integration with YouTube for view counts. This SEO-ready theme also offers an intelligent social popup, 4 Pre-defined Homepage Layouts and supports Facebook, Vimeo, and DailyMotion. Equipped with ten useful widgets for easy creation and customization, the theme integrates WP Review Pro Compatible that helps you to add full feature review to your site. 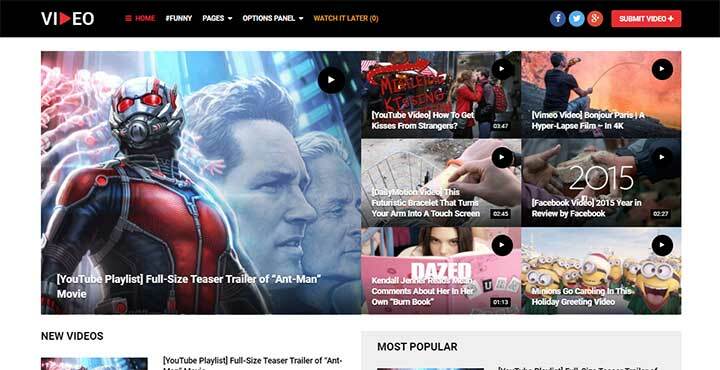 One of the most refined and trendy viral themes for WordPress, the Buzz Stone theme is a colorful, appealing and attractive theme that is ideal for all types of businesses, including media, freelance, gaming, news, events, and listicles. This theme also works well if you have entertainment or infotainment needs like quizzes, polls, contests, music, live-streaming, food, fitness, and DIY. The best thing about this theme is that it features ten different homepages, multiple pages, and post layouts and innovative custom widgets and shortcodes. 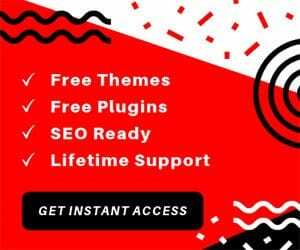 Install with a single click and enjoy the power of good designing with a variety of compatible plugins the Buzz Stone theme is a fully responsive theme to create a buzz in the market. With features like Featured Headlines, multiple Google fonts, unlimited colors, and ad units, the Jawn WordPress News and Magazine Theme is a modern professional theme with autoloading posts, post and page slideshows, and responsive design. With a score of 97 on Google PageSpeed, Jawn is highly optimized for speed allowing you to deliver instant posts and social sharing for all your posts. Not only this, but the Jawn WordPress theme has five unique article layouts, four featured post layouts, reviewer plugin, and sticky slider. Deliver content to your users in a compelling way with the help of an easy to use viral WP theme integrated with social media sharing and encourage users to spend more time and share the content on your website every day. 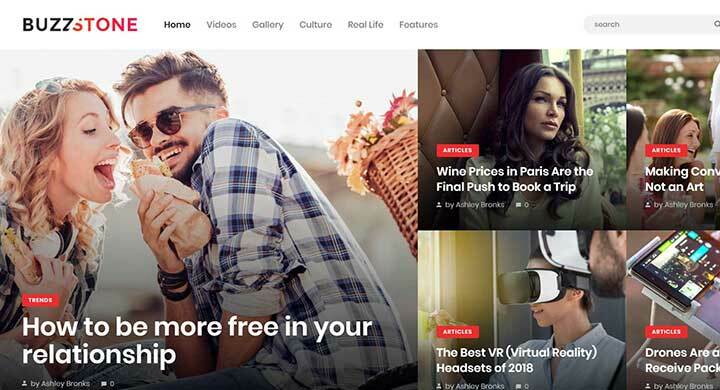 With more than 60 premade layouts and unique schemes, the Diginex magazine viral WordPress theme is the perfect magazine theme to take your website to the most number of people around the world. The theme offers six unique customizable layouts that have been crafted with the utmost care and precision to enable maximum exposure and keep users engaged. This incredible viral theme also has an advanced panel with eight built-in stream sliders, parallax, flex slider, bxslider, vertical slider and Klein slider in the theme options. With three pagination types, custom built-in widgets and an Adblock detector, the Diginex theme is an ideal way to get your multilingual viral website. The highly customizable, retina ready Vast – Viral & Buzz WordPress theme is a unique, simple and modern design theme equipped with six different homepages and innovative features. The user-friendly theme allows your users to create and pool, audio, video, gallery and portfolio news or viral content by using multiple theme options, homepages, and header variations. An ideal theme for news magazines, newspaper or even simple blogs, it is a clean and flexibly designed theme that can be used for different purposes too. A simple, feature-rich and user-friendly theme for bloggers looking to make their content viral, the Vast Buzz is a highly customizable, fast loading and functional WordPress theme for anyone who needs viewers on their website. 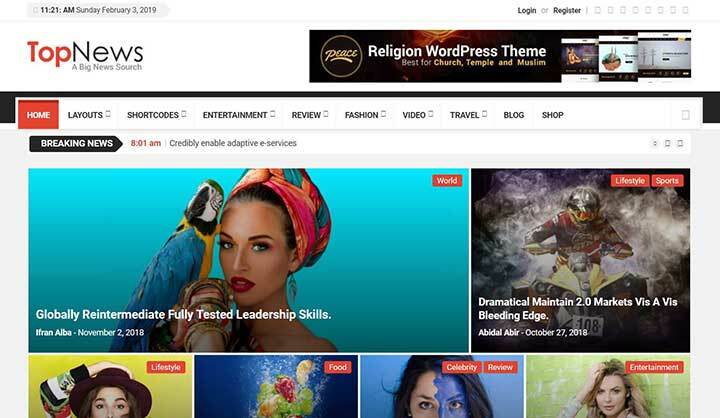 Equipped with five compatible features, and fast page loading speeds, the user-friendly TopNews theme is a highly customizable viral WordPress theme that works well with a variety of niches. It supports multiple homepage layouts and unique header options. This makes it easy even for non-coders to personalize the viral website as per their needs. What’s better is that this appealing theme is SEO-ready and has a completely responsive layout. You can try any of the high-quality demos ranging from food and animal to fashion and sports of this theme for a better understanding. Get ready to experiment with different section title layouts and unique mega-menu styles, and enjoy the power of social connection by installing the TopNews theme with a single click. Loaded with multiple layouts, more than 11 single post templates, and customizable archive headers with a variety of colors, logos and background images for tags and categories page, the King WordPress viral Magazine theme is a modern masterpiece that will transform your website into an ideal viral website. Created with unlimited badges, the theme allows users to share their reactions on a post or in the comments for better engagement and interaction. 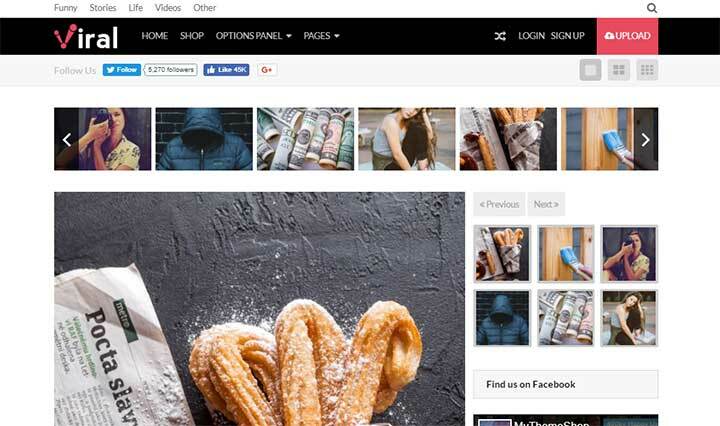 With a feature that allows you to create instant articles on Facebook, try the 100% responsive King theme and be the king of your industry with unique display options like featured post slider, grid slider option, hot posts page, reaction page and many more. 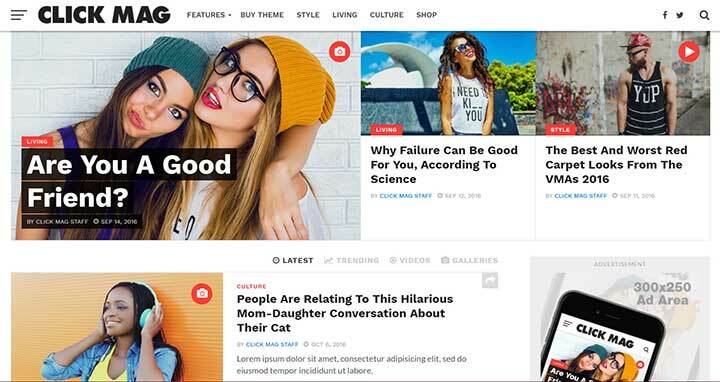 One of the highly recommended options for viral websites as well as personal blogs, the Stoked Irreverent Viral Magazine/News is an ideal theme for all the people who are looking for powerful features with a professional design. Lightweight and optimized for high-speed, the Stoked theme has an impactful design with modern features and layouts that make your site viral as soon as people see it. Even better, it is accelerated for mobile pages, and created to ensure your site gets enhanced mobile support. Google AMP also helps to increase views and ad impressions, and enable your site to be viral in this competitive world. Some features that make Stoked the most preferred choice for viral content is its fast loading articles, navigation, custom icons, and emojis and SVG support. Equipped with more than 15 pages, and 20 elements, the Tana multipurpose theme is an easy to use, modern responsive WordPress viral theme that enables you to create a highly personalized viral website within a few weeks. Supported with an inspired collection of unique demos, this theme covers almost all the areas ranging from fashion, news and music to travel and fitness. With five header styles center and easy mega-menus, the theme gets everything it needs. Not only this, but the highly demanded multipurpose Tana theme also has three push sidebar styles and custom widgets with 54 unique elements like filters, grid, masonry, and slider. Any Other Viral WordPress Theme? We have researched, tested the demos and then created this useful list of the top WordPress viral themes above. So, if you are planning to begin your viral website or looking to transform your older website into a fully functional viral website, do not be worried and go for any of the themes listed above and you will be able to fulfill your dreams with their help. If there is any other theme that you are currently using which has better features than the themes listed here, mention them in the comments below.